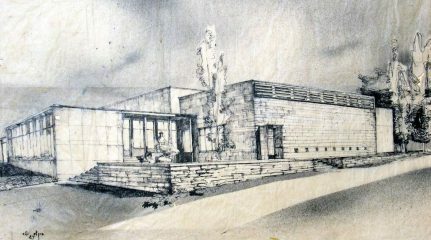 Shmuel Bickels (Lvov, 1909-Kibbutz Beit HaShita, 1975), the architect of the Mishkan Museum of Art in Ein Harod, was an inspired multidisciplinary artist. His buildings are characterized by unique treatment of filtered incoming natural light. Like other European artists who have immigrated here in the 1930s, the encounter with the glaring Middle Eastern light inspired Bickels to conduct ongoing research and develop a series of original solutions. The roofs of the Mishkan are sculptured as a series of waves that create hidden upper windows and domes that reflect the light and let it flow like a glimmering cascade over the walls. The light source is hidden from view and it is filtered and regulated in a way that bestows a natural and tranquil splendor to the space. The entire building is oriented inwards and the secret of its charm lies in the natural light that flows through hidden windows unto its white exhibition walls. Not even a single window in the building gives out to the view outside, except a western aperture that provides a glimpse onto the roof shell construction. On the right, towers a “hat” that covers the Atar Room (a hall located left of the main entrance), designed to filter the sunrays before they reach the hall itself. 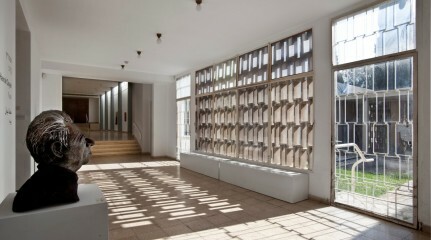 From the upper windows, the light is cast so that it is repeatedly reflected, undergoing several filtering processes until it appears to rise out of the exhibition walls, uniform and gentle throughout the hall. This lighting method is repeated in a series of four exhibition halls called the Northern Halls. This lighting solution and several others in the building are considered a milestone in the history of architecture. 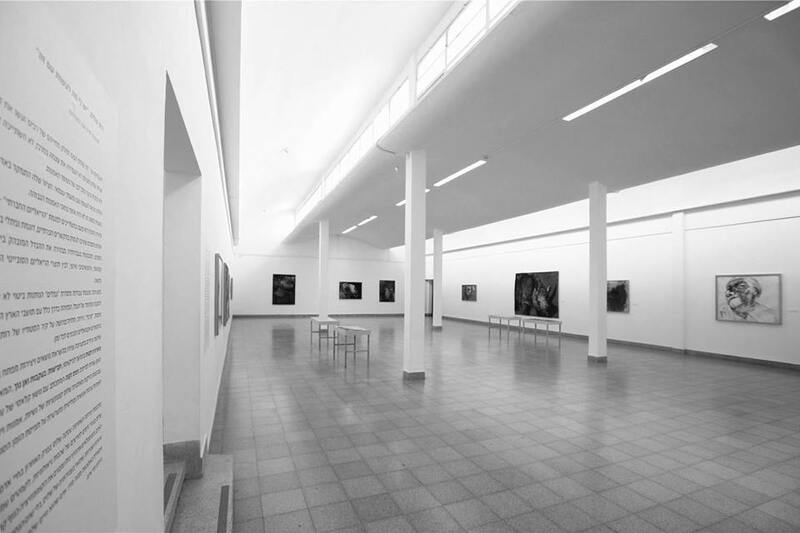 The Mishkan Museum of Art in Ein Harod is considered one of the first buildings of its kind to make innovative and state-of-the-art use of natural light. 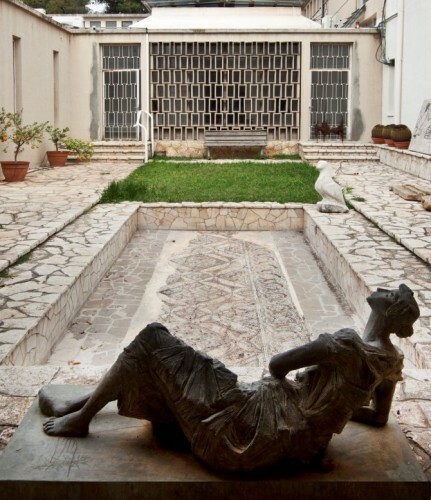 On the left, we can see an inner courtyard featuring a reflection pool and a mosaic floor. Above it, towers the library wall.